Founder of Chinn & Associates, Mark A. Chinn is a seasoned Jackson, Mississippi family law attorney who has dedicated his career to helping clients through some of the most difficult times in their lives. He is dedicated to using his talent and experience to empower his clients to lead the lives they want to lead. 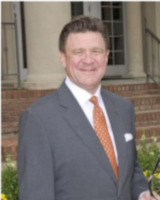 Mark graduated from Iowa State University with his undergraduate degree in 1975 and went on to obtain his Law Degree from the University of Mississippi in 1978. He is admitted to practice in all Mississippi courts, the Fifth and Seventh Circuits, and the U.S. Supreme Court. Through his 40 years in practice, Mark has seen it all. Early in his legal career, he worked in every area of law, but soon realized his skillset and personal mission in life matched perfectly with family law. Mark has met with considerable success in this arena, helping clients with the most complex divorce and family law matters with grace and tenacity. He has authored and co-authored several books on family law, is a frequent lecturer and speaker on this subject, and has received numerous accolades from respected publications and legal rating entities. It is no wonder that family law matters are often difficult to deal with. You are facing issues that are not only emotionally impactful but that may have a lasting influence on your financial stability. At Chinn & Associates, we help families solve their problems. We approach divorce, custody, and other family law matters with intelligence, creativity, and a true passion for our clients’ well-being. Finding a competent Jackson family lawyer to represent your interests is of the utmost importance if you are to achieve your goals and face a brighter future. With four decades of legal experience, founding attorney Mark Chinn believes in using his talents and experience to empower clients to lead the lives they want to lead. Chinn & Associates is committed to conceiving and delivering unparalleled service to individuals considering or involved in divorce, where a myriad of financial and legal issues must be resolved. We are dedicated to maintaining the highest standard of legal training, integrity, and personal performance. We are meticulous, innovative, and completely committed to meeting and exceeding our clients’ expectations. For Chinn & Associates, the law is not a cold, impersonal machine, but rather a system built for, and around, people. In that spirit, Mark Chinn has crafted a law firm dedicated to serving the needs of the people. We make ourselves available to our clients 24 hours a day, 7 days a week. We provide our clients with personal cell phone numbers so they can get in touch with us when needed. We educate our clients on all legal and moral courses of action so we can create a plan that is consistent with their immediate objectives and their ultimate goals in life.